Everyone loves a deal, and summer in Naples is a great time to score one. Here, we’re expanding our ever-popular Insiders’ Guide to Summer Dining Deals, which details can’t-miss-’em specials at local restaurants, to include summer discounts from other local businesses, summers kids’ activities in Naples, and more. We’ll be updating this post throughout the summer, so give it a bookmark and check back regularly for more. June-July: Reserve a table of six guests and get one free registration, valid on any regular pick-your-project workshop. June-July: Daily, 10:30 a.m.; August-October: Saturdays and Sundays, 10:30 a.m.; W.O.N.D.E.R. in the Garden, featuring themed lessons and activities for children in the Children’s Garden. All programs are included in Garden admission. June-July: Book a kids’ birthday party and receive a free animal encounter included. For pricing and info, visit napleszoo.org/birthdayparty. 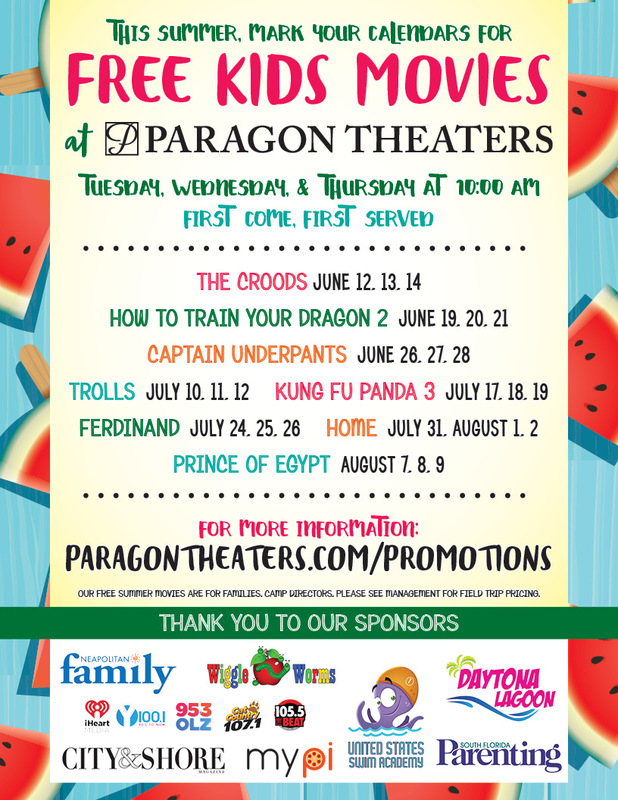 June-August: Tuesdays, Wednesdays and Thursdays, 10 a.m., free kids’ movies. More details here. If you’re a local resident new to The Sand Barre, your first class is free. June: Teacher Appreciation Month, featuring specially priced services (50-minute Swedish Massage or Signature Organic Facial for $109 each). Valid Lee or Collier County school ID must be presented at check-in. ALSO DON’T MISS: Our Insiders’ Guide to 2018 Summer Dining Deals is now live!